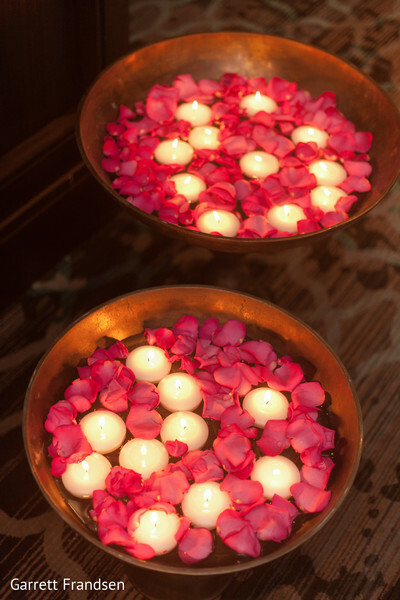 Tuesday, I'm in love, Maharanis! That's a thing here. 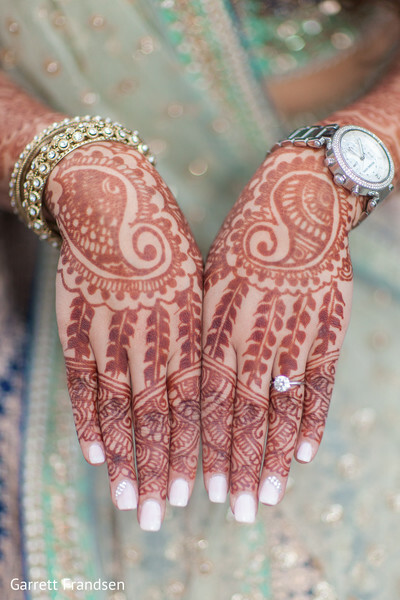 Especially when you're surrounded by some of the most fantastic Desi wedding details! 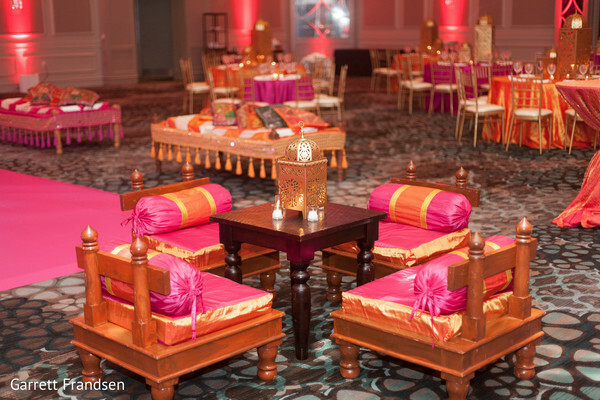 Today we're delivering a dream team event captured by Garrett Frandsen at the Grand Hyatt Atlanta in Buckhead, and there's no better place to start than at a sangeet! Meet Maharani Nickita, who's just been beautified by her hair and makeup experts from Gunn Glamour (on hair) and Erica Bogart Beauty (makeup)! 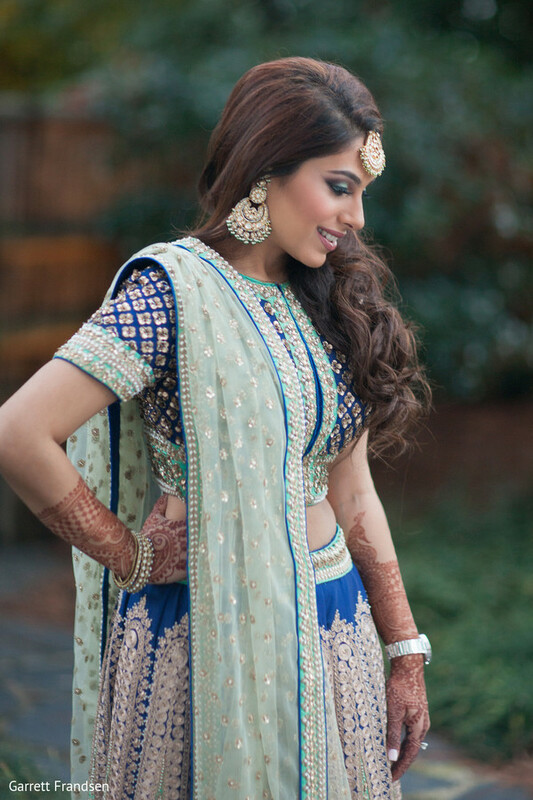 She's looking picture perfect in her blue, white and aqua sangeet lengha, and we love the mehndi work by Beauty You Deserve she's showing off! 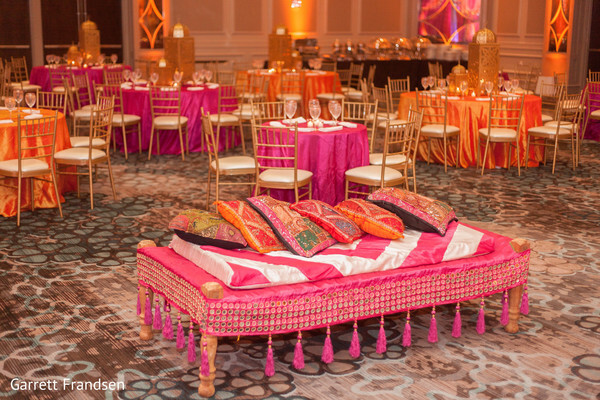 Envi Event Planning planned the most extraordinary affair for her and the Raja of her dreams, Shiraz, and Ragini Patel of Weddings InStyle made sure the Indian bride's vision came to life with spectacular decor details! The party's just getting started today with the sangeet, where DJ Jaz and his team from GTB Productions literally lit up the night with music for partygoers to move to and mood lighting to set the tone. 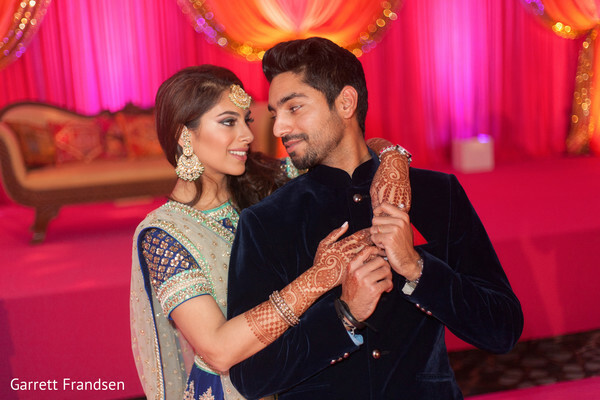 We'll be seeing more of his work later today, but before we do, head into the complete gallery for more highlights from Nickita and Shiraz's sangeet festivities! 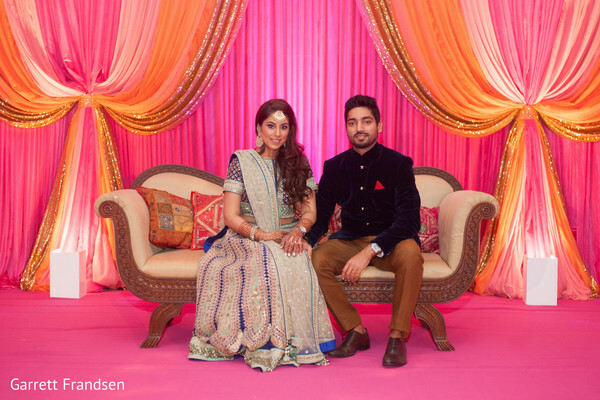 "I wanted to do something different for the sangeet and picked a very different style and color palette than I ever thought I would wear." "The wedding planning part was my absolute favorite! This was the one time my Type A personality was super handy. As most girls, I have dreamed about and had a "wedding plan" since I was a young girl. I always knew the kind of look I wanted and it was icing on the cake to have one of the best decorators I have ever met! We instantly connected and were finishing each others sentences, she got me COMPLETELY. 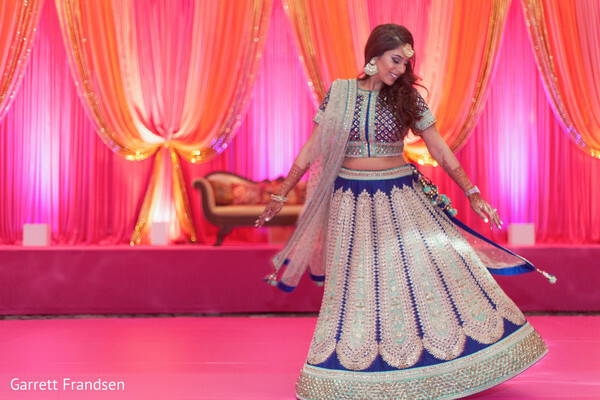 I always knew I wanted to have a colorful sangeet, its such a joyous occasion and the best way to bring that out is with vibrant colors. I had seen the "Moroccan" theme a couple times and I instantly knew that was what I wanted. 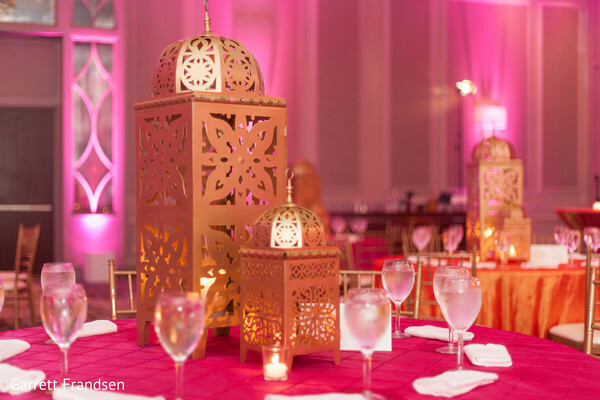 Combining shades of pinks, purples and golds, and a little bit of a fusion of Indian and Moroccon theme, we came up with a beautiful and unique setting for our Sangeet." "I had a great make up artist! I put on my outfits and let her work her magic. She did an amazing job. I was a bit more picky about my hair. I saved pictures of the different hairstyles I had seen and liked and then Samantha (of Gunn Glamour) added her own touches to it!" Meet me back here later today for bridal details from Nickita's big day, and a first look with the Raja of her dreams!